2.Type in 'cmd' (Windows XP) or 'command' (earlier versions), then click OK.
1.Click Start, then type 'command prompt' in the search box. 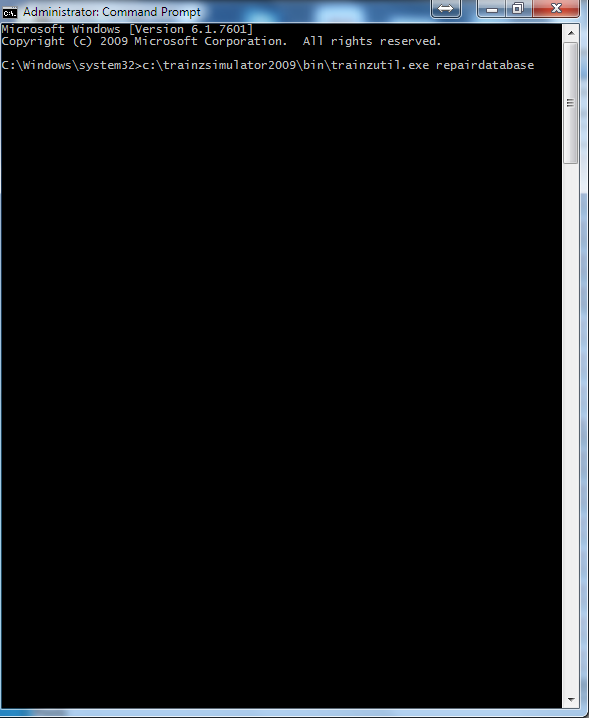 2.You should get 1 result: Command Prompt. Right-click this and click Run as administrator, then click Continue or Yes when prompted. 2.TrainzUtil will then repair the database - if using TS2009 SP4 or later, TADDaemon will also appear. Wait until the command prompt comes up with C:/> (or similar) on it's own.